A smart display solution, mikromedia HMI 7" Cap has a 800x480px color display with a capacitive touch panel on the front, and a powerful FT900Q 32-bit MCU with additional essential circuitry on the back - making it a standalone but cost-effective solution suitable for industrial applications. 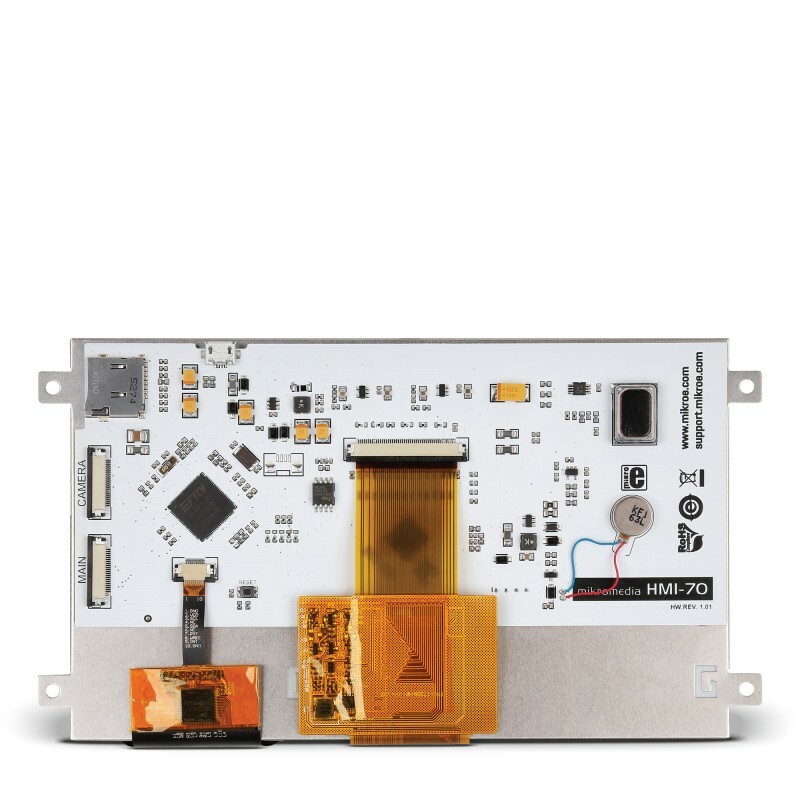 mikromedia HMI boards are driven by FTDI Chip's FT900Q with their proprietary 32-bit RISC core with industry-leading performance. With execution from shadow memory, the MCU can achieve speeds of 3.1 DMIPS/MHz at 100 MHz. FT900Q has 256KB of Flash memory, a small part of which is taken by the built-in bootloader. The concept of mikromedia HMI is to keep only the essential components that simplify its integration into a final product, whilst keeping overall costs down. The board integrates a microSD card for expanding storage capacity, a haptic feedback motor, small audio speaker, and a micro USB connector. A connector for interfacing the MCU with external electronics, along with a separate connector for FT900Q's parallel camera interface. 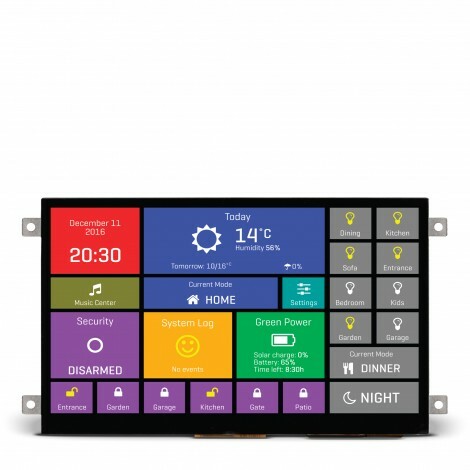 mikromedia for HMI 7" Cap has a high-quality Riverdi display with 16.7M color depth and 550 NIT brigtness. The display is driven by a FT813 graphic controller. A mounting frame surrounding the screen simplifies integration. Tutorial on learn.mikroe.com | Code for demo example on Libstock | Schematics on documentation page. Extras. mikromedia HMI breakout board (sold separately) contains a micro USB port, an RJ-45 ethernet connector, as well as an external programmer connector (ideally used with mikroProg for FT90x). 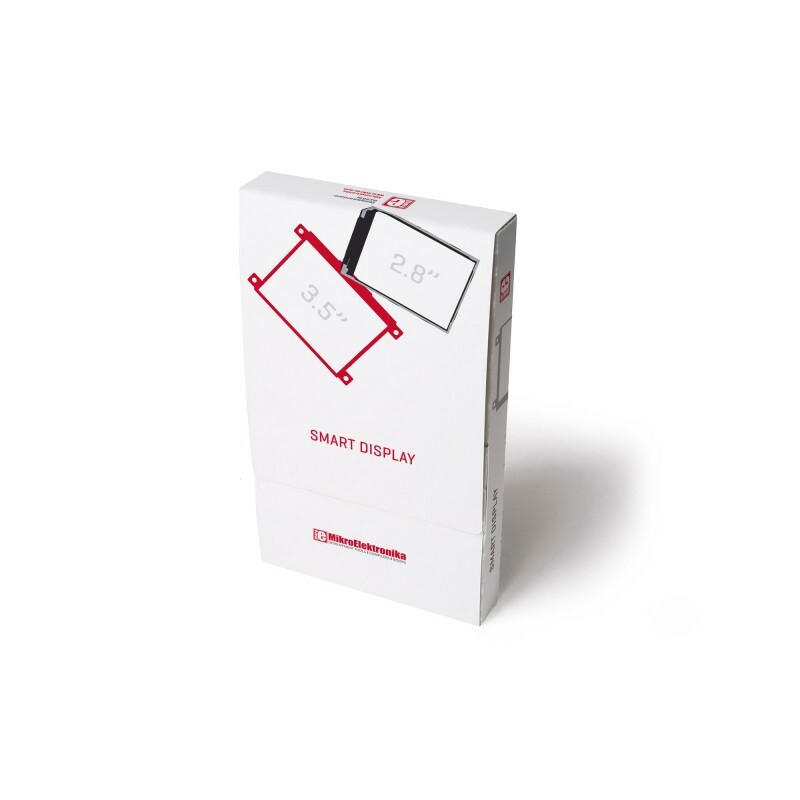 Two 24-pin flat cables are included in the packaging, enabling the use of both mikromedia HMI connectors at the same time (MAIN, CAMERA). See how mikromedia HMI 3.5" Res compares with the rest of the product line.